Senegal was once hailed as a shining example of democracy in post-colonial Africa, but recently things have not been good. It is vital that Senegal’s government seeks to heal divisions within society. The presidential elections in 2019 will offer an opportunity for Senegal to resume its position as a champion of acceptance and inclusivity. With a large Sufi majority and widespread rejection of extremism, Senegal is one of the most tolerant countries in Africa. There is a real chance for Senegal to now adopt a form government based upon the Sufi principles of compassion, freedom and hope. Senegal’s recent elections were at odds with such principles. The elections were marred by fraud. Many voters were turned away for not having identity cards and many had been left off of polling lists altogether. The governing coalition won 125 of 165 seats in the National Assembly, increasing the likelihood of President Mackay Sall being elected for a second term in the 2019 Presidential elections. But the lasting memory of this election will be of protestors being met with riot police and tear gas, in a country traditionally associated with peaceful demonstration. Only an optimist could have hoped that Election Day in Venezuela would give all Venezuelans a chance to vent their frustration at the ballot box, and bring about change through democratic means. When the desperation and divides within Venezuelan society are considered, it is not surprising that the opposition Mesa de la Unidad Democrática (MUD) boycotted the vote and anti-government protests continued on polling day. The MUD argued that there had been several irregularities in the election and that it could not therefore accurately represent the will of the Venezuelan people. As such, any vote would have been undemocratic in their eyes and the turnout of less than 42% makes the final count essentially meaningless. While President Maduro continues in his quest for a Cubanesque revolution, the country is falling apart at the seams. As inflation has soared above 700%, the majority of people who cannot get dollars to exchange on the black market often have no means of securing their most basic needs. Food and medicine are increasingly hard to come by, street violence continues to terrorise the population, crime is out of control. 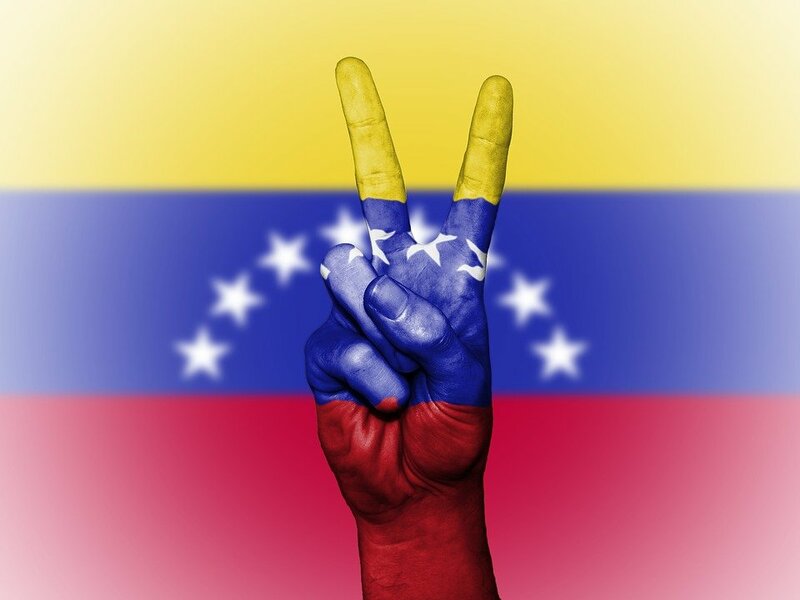 The problems faced by Venezuela are great. Yet most of these problems are underlined by economic mismanagement and could be addressed if the government decided to work for the people rather than for their own political aggrandizement. President Maduro now faces a choice: end his futile experiment with Marxism, or plunge his country into civil war. Temple Mount crisis: Why is there no peace process? On Sunday night, Israeli police officers arrested 33 people in a series of raids on suspicion of involvement in the violent clashes resulting from the Temple Mount crisis. In response to the shooting of two Druze police officers serving in Israel’s Border Police, a paramilitary force, on July 14th, Israel’s government installed metal detectors and cameras at the entrance to the site which prompted violent clashes between Muslim worshipers and Israel’s police forces over the past two weeks. Three died as a result. These arrests highlight the lack of a successful resolution of the spat, despite Israel’s government removing the metal detectors from the site. It was hoped this could have signalled an end to the crisis. With more attention having been given to Syria and Iraq in recent times, this crisis has reminded us of the importance of fostering a peace process in Israel, Gaza and the West Bank. It should not require such violence to bring the Israel-Palestine question to the attention of the international community. Steps should be taken to ensure that Jews and Muslims can coexist peacefully. This can only be achieved through dialogue and negotiation. Acts of violence, police raids and rioting merely encourage retaliation. Iraqi forces have been celebrating the liberation of Mosul after three years of occupation by Islamic State. The victory has given rise to questions about how to ‘win the peace’ by safely rebuilding a more stable and peaceful country. Now that ISIS may soon be militarily defeated, the real challenge begins, that of offering an ideology of fair play and inclusiveness as an alternative to the ISIS ideology of exclusiveness. Younger generations who have been educated under ISIS have been inspired by their message. Measures could and should be taken to turn them away from such ideologies. A power vacuum will be left behind in the territories formerly held by ISIS. While the liberation of Mosul offers a beacon of hope, consider the challenges ahead and the continued desperation of those in Mosul who still face homelessness, hunger and oppression. The city may have been liberated, but fear continues to rule the streets of Mosul.